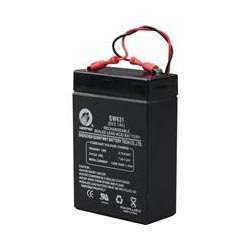 Casil Batteries are some of the most popular batteries in the security and surveillance community around the globe. Found in thousands of alarm panels across North America and internationally, Casil Batteries are compatible with many panels from manufacturers such as GE Security, DSC, Honeywell and many other residential and commercial alarm system manufacturers. 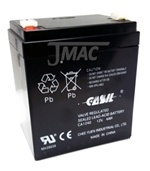 At JMAC Supply, we keep Casil Batteries in stock for same day shipment so if you ever suffer from a low battery indicator, you can order from us with lighting fast shipping that will have your replacement alarm battery at your door in no time! Casil batteries are some of the best in the industry, offering unparalleled performance in countless applications, but it is most commonly used as an alarm backup battery. Other lesser known applications include emergency lighting, portable power and many more scenarios.